`You cannot make dodo without frying plantain’. Though some in the audience may not get the exact reference, Greatness Ogholi knows politics can be a rough old game and that sometimes you have to crack a few eggs to make the omelette! 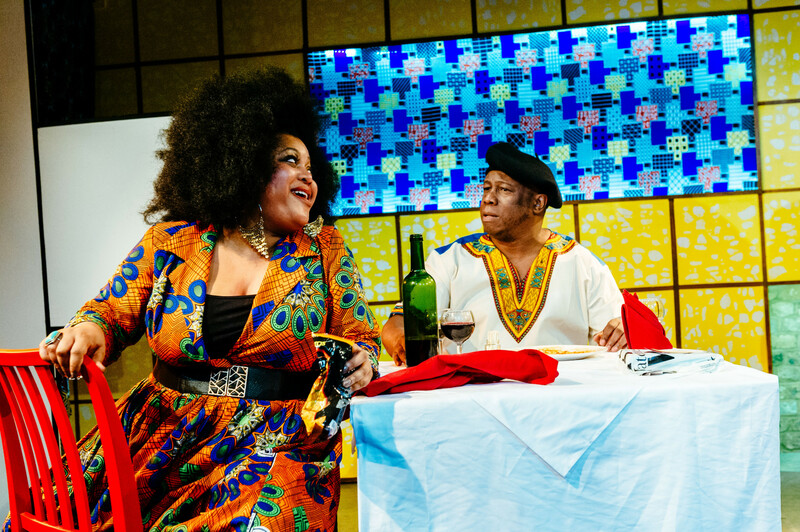 Following previous and award-winning forays into Nigerian politics ( `Iyà-Ilé – The First Wife, and The Estate), Oladipo Agboluaje’s New Nigerians takes another sharp-eyed, satirical look at Nigerian political life, this time at its leaders. But to bring that about and obtain the power to do so by getting elected, Greatness is going to have to make concessions, to sacrifice some ideals. He’s going to have to start dealing with exactly those characters and personalities against whom he is railing: the corrupt business leaders and a Union leader whose notion of trade unionism is more a question of pragmatism than over-turning the system, so dear to Greatness’s heart. Substitute Nigeria for the UK or USA and Agboluage seems to be offering us a comment on leaders and leadership nearer home than Accra. But the manner and style of the comedy and the scenario Agboluage lays out of integrity under the kosh, is unmistakeably and hugely West African-Nigerian. Broad and brash Agboluage’s doesn’t spare his leading protagonists. Tunde Euba’s duo of Danladi Musa, a billionaire in the pocket of the government and trade union leader, `Comrade Edobor’ are nothing if not fierce critical portraits of corrupt, sexist officials. 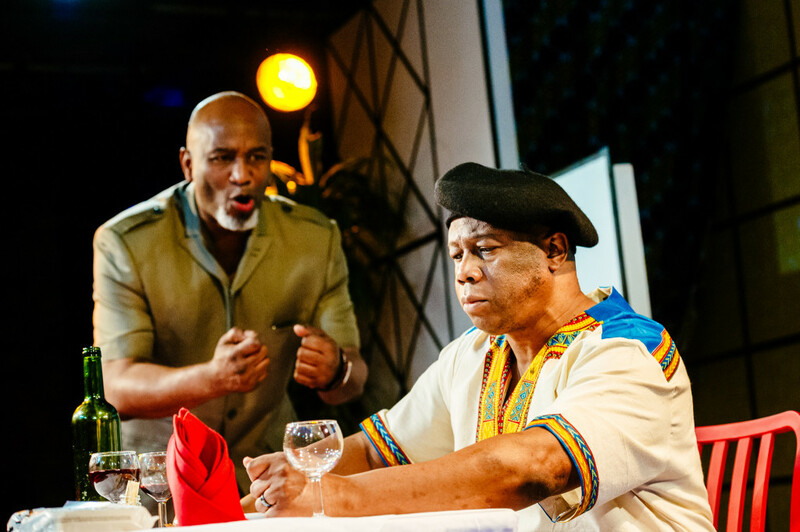 Gbemisola’s Ikumelo’s Chinasa Umezurike, Greatness’s running mate, too, is a comic grotesque worthy of Gogol’s The Government Inspector. Ikumelo also brings a surprising pathos to a character more than ripe for sending up, Greatness’s estranged wife, Grace, now a devoted Christian evangelical. But director Rosamunde Hutt’s colourfully rambunctious production is surely made by Patrice Naiambana. As the hapless Greatness, NaIambana dressed in smooth khaki and sporting a small goatee beard endows him with a touching kind of naivety and earnestness. He also has a wicked kind of improv style that allows him to strike an immediate and appealing rapport with audiences. A delightful, clever, and yes, mighty performance, all the trio were rightly cheered to the echo. Oh – and for those struggling, like me, with some of the references, there is a text on sale. Very helpful! 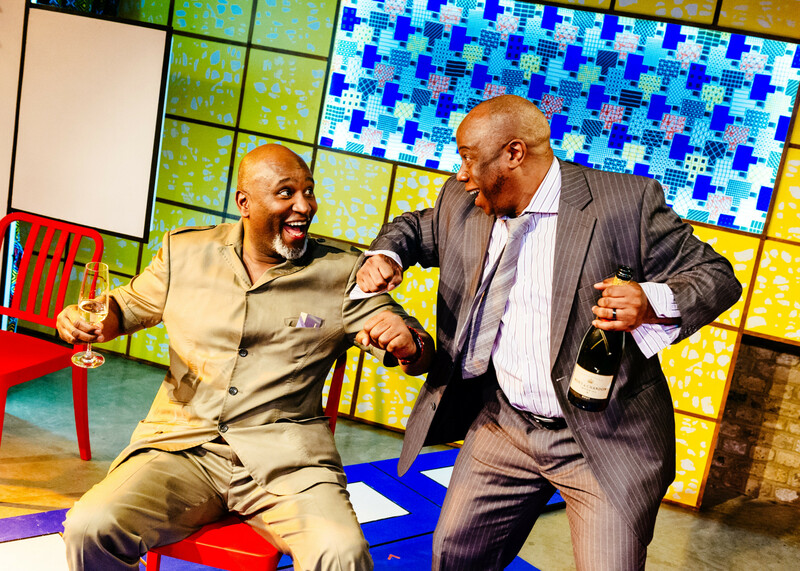 This entry was posted in 2017, Reviews and tagged Arcola Theatre, Gbemisola Ikumelo, Gogol, Nigeria, Oladipo Agbouluaje, Patrice Naiambana, political satire, Rosamunde Hutt, Tunde Euba on February 19, 2017 by Carole Woddis.